A mix of beloved classics and new frontrunners, here are the Best Amazon River Cruises of 2016 to help you narrow your search and travel the Amazon the way you dream of. We've also included a few Amazon River cruise deals. These cruises hosted by Mr. Schiaffino will offer guests the chance to visit local markets, tour his kitchen, take a cooking class, and speak personally with the man himself about his experience, visions, and culinary trends. Rainforest Cruises is proud to sell trips on two of Aquas beloved boats, including an upcoming set of special excursions with the founder of Aqua Expeditions himself, Mr. Francesco Galli Zugaro. The now protected area is being called the “Yellowstone of the Amazon” for its conservation significance and impressive natural features. A massive 1.3 million hectares (3.3 million acres) are included in the reserve, and contain uncontacted indigenous tribes, endangered species, and spectacular natural landscapes. 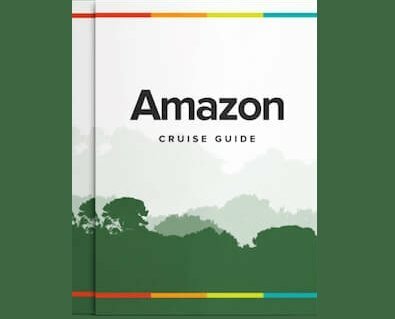 Where do Amazon Cruises Leave From? So, where do Amazon cruises leave from? There are several points of entry, it just depends on which sights you want to see! Journey into unchartered waters and discover a mysterious realm of exotic creatures, mystical shamans and natural wonders as you embark on the adventure of a lifetime to explore the boundless diversity of Mother Nature's greatest creation - the Amazon Rainforest. Rainforest Cruises is excited to announce the recent renovations of two luxury river cruise boats in Peru. The Aqua Amazon and Aria Amazon both have undergone extensive refurbishments and upgrades these past few months, overseen by the cruise boat’s original designer, the renowned Peruvian architect, Jordi Puigi. The first thing to know about the tropical climate of the Brazilian Amazon is that it has just two seasons – the wet, or rainy, season (also known as flooding) and the dry season. The equator runs through the Amazon and it has low elevation, so the weather here varies greatly from the rest of the vast country of Brazil. Rainforest Cruises is excited to announce the arrival of yet another luxury cruise boat to the Peruvian Amazon– The Amazon Discovery. Her maiden voyage will set sail late 2015, offering both 4-Day and 7-Day itineraries. Rainforest Cruises are delighted to introduce the arrival of a new luxury Amazon riverboat - the Zafiro which is set to make its maiden voyage in October 2015. Zafiro - the spanish for sapphire (a type of precious stone) - is a state-of-the-art vessel with all the modern amenities you'd expect of a luxury riverboat, plus some more!